The opening of the Rose Library in 1998, launched with a major donation of books from the late Diana Bartley, helped establish the Strassler Center as a leading research institute in the field of Holocaust and Genocide Studies. Initially conceived as a resource for Holocaust research, the Library’s collection gradually broadened to cover genocides around the globe. With more than 9,000 volumes, the existing shelves are full and the Colin Flug Graduate Study Wing allows the Strassler Center to shelve the books currently in storage and accommodate continued growth. 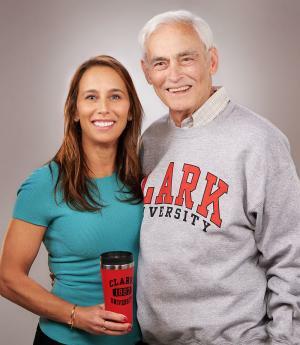 Named The Colin Flug Graduate Study Wing, in recognition of the lead gift contributed by Clark University trustee Dr. Rebecca Colin ’89 and her family, the wing includes a book annex that more than doubles the library’s shelving capacity. Envisioned as a new home for student research, the Tobak graduate student offices (funded in memory of Holocaust survivor Henry Tobak) relocated to the new wing, give students better access to the resources of the library, including books, videos, a study commons, and the Shoah Visual History Archive. The Colin Flug Graduate Study Wing is a handsome addition to the complex that comprises the Center; together, Cohen-Lasry House, the Rose Library, the Chaifetz Jakubowitz Garden, the Freedman Courtyard and the Colin Flug Wing constitute a mini campus oriented towards Clark’s main quad. The Siff Exhibition space will eventually become an accessible entrance lobby. A major gift from the Strassler family funded compact shelving adequate for holding more than 10,000 volumes. Stephen Corman (in memory of Betsy Corman), Lisa ’82 and Michael ’81 Leffell, Susan Rein along with the family and friends (in memory of Herbert Rein), Erica Rhine ’67, and Al Tapper donated offices that seat four students. Rosalie Rose (in memory of Sidney Rose) and many others responded enthusiastically to the project with contributions in honor of Founding Director Professor Debórah Dwork. A garden, in memory of Betsy Corman, reminds us that following death and destruction, there is rebirth. The Colin Flug Wing is a cornerstone in the next phase of the Strassler Center’s growth and development. 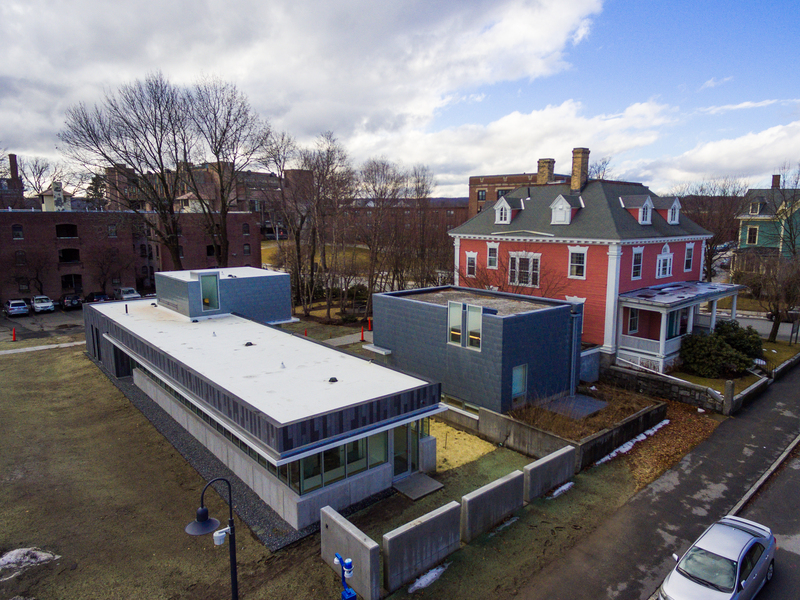 It serves as a physical manifestation of the innovative scholarship and pioneering research that has kept the Strassler Center in the vanguard of the Holocaust and Genocide Studies field.